The Grand Canyon is located in the northwest corner of Arizona and encompasses over one million acres of land and 277 miles of the Colorado River. The Grand Canyon is known for its overwhelming size, breathtaking views and its colorful landscape. 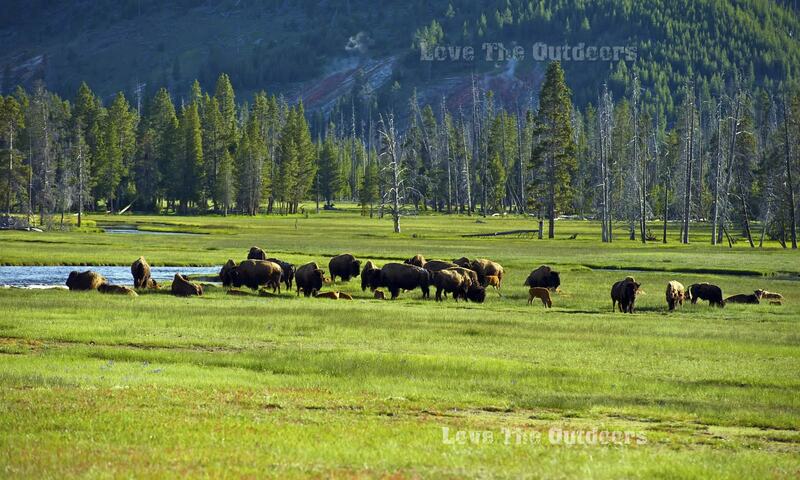 Over 5 million people visit and explore this national park each year. The most popular areas are found on the South Rim. These areas include the Grand Canyon Village, Hermits Rest Road, and the Desert View Drive. The South Rim is the most accessible part of the park and is open all year. The North Rim is located 10 miles directly across from the South Rim. Heavy snows close the North Rim from mid-October to mid-May each year. The South Rim is 7000 feet above sea level, which means snow in the winter and cool nights even in the summer.The beauty of the Grand Canyon as shown on the NPS website. The Inner Canyon (below the rim) and along the Colorado River at the bottom of the canyon can reach 120º F during the summer . The North Rim is 8000 feet above sea level and can receive snow throughout most of the year. Weather is particularly changeable in spring and fall and visitors should be prepared for a variety of climates. Day hiking is a popular activity at the Grand Canyon. Many people hike short distances into the Canyon. There are no easy trails to hike below the rim. Trails below the rim are steep. It is essential that you are properly prepared. Always check on trail conditions. Adequate water and food are a must. Caution and common sense must be used at all times. Overnight hikers may arrange to stay and eat at the Phantom Ranch located in the Canyon. Reservations are required and all overnight visitors to the inner canyon must obtain a backcountry permit. According the the National Park Service, a trip to the bottom of the canyon and back (on foot or by mule) is a two-day journey. Rim-to-rim hikers generally take three days one-way to get from the North Rim to the South Rim. 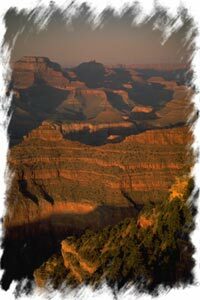 Some other popular activities at the Grand Canyon National Park include viewing the Canyon from the many lookout locations, horseback or mule riding and rafting on the Colorado River. A trip through the Grand Canyon by raft can take two weeks or longer. And a mule ride is a two day trip to the Colorado River and back up to the South Rim. Reservations are necessary FAR in advance. Camping is available at several established campgrounds in the park or at private campgrounds outside the park. All camping in the Inner Canyon require a backcountry permit. Due to the large crowds during the spring, summer, and fall months, advance reservations for camping and lodging are essential. The Grand Canyon is an amazing monument of geologic conditions over many millions of years. The shear size and beauty of it will awe you. The adventures that await you at this national park will forever be etched in your mind. Visit the Grand Canyon National Park website for more information.